Hannah Designs Here: Hold On To Your Hats! 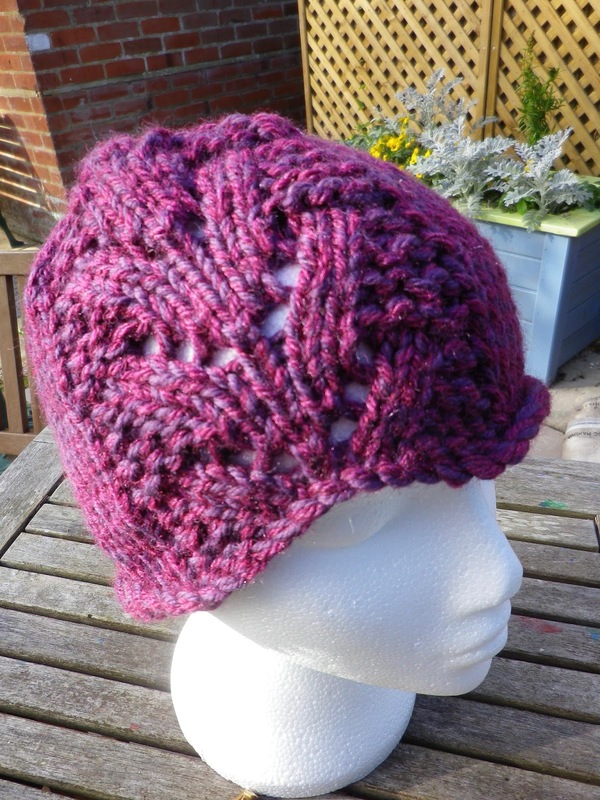 Here's a rival for the Plait Cloche in popularity, a cloche with a lace panel. This hat is knitted in a thick chunky yarn, which can be duplicated through a few brands. Sirdar’s Sublime Chunky Merino was created for a few exclusive patterns and uses 6.5-7mm needles, to a tension of 14 sts x 19 rows per 10cm. The slightly thicker yarn and using a looser tension than usual chunky yarns gives a gentle, soft fabric to the finished item. 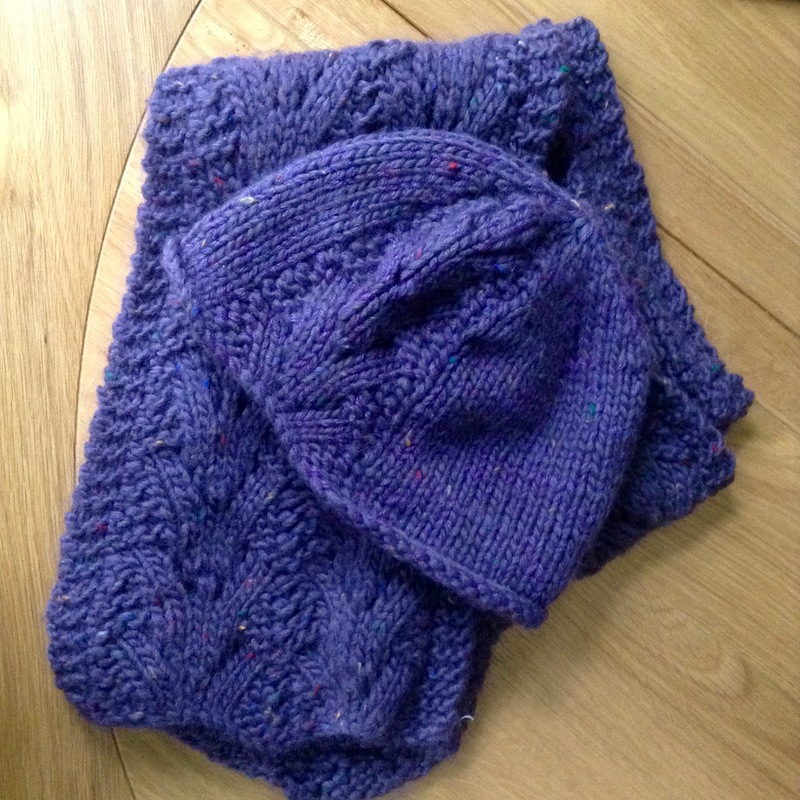 I have replicated the effect by knitting double with an aran and chunky yarn together, which knits up to slightly thicker than standard chunky, but a thinner yarn than super chunky. The photo to the left shows Stylecraft Chunky, in Mixtures Cranberry, and Rico essentials soft merino aran, in purple, knitted together with 7mm needles. 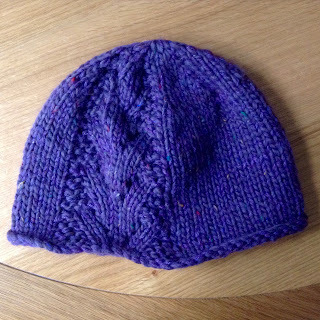 This gives the same tension and same effect, with the final result giving a really warm hat to pull down over the ears for the coldest weather. And keep watching as the pattern for matching scarf will be available soon. Here's the link to buy the pdf Cloche pattern from Ravelry, let me know if you like it and share some photos in the comments once you've knitted it up.